Did you know digital art? It’s art created using an electronic device as opposed to using traditional media like paint, papers, pencils, collage, airbrushes, etc. 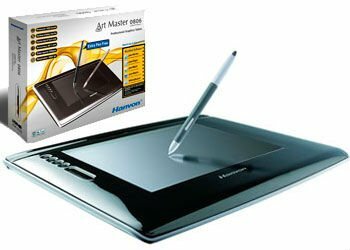 The tools you need are A computer pc, Mac, laptops, tablets, like iPads & Surface, Pro Drawing tablet like the Wacom Intuos. There are also independent brands like Yiynova. If you have a tablet like an iPad then it’s already a drawing tablet. Optionally you’ll need a scanner to scan in your drawings if you prefer a partial digital workflow. Illustrator Autodesk Sketchbook & Corel Painter. These are commonly used in the creative industry however they can be quite expensive if you’re just starting out or doing this for fun. You also have mid range priced software that is more affordable and just as good Then there are free programs you can use as well. My experience is mainly in Photoshop Illustrator and Clip Paint Studio However what is important is not what software you are using but that you learn how to use all the perks of a digital workflow to its full advantage Digital art like any other medium has its own strengths and weaknesses. It’s very flexible. You can save multiple versions of your work undo duplicate etc and you have access to every single color you can imagine. It’s convenient. You’ll never have to worry about buying more paint different paint colors more paper. Or mess around with brushes eraser droppings etc. On the negative side digital art can have a very expensive initial investment. Digital art has very little “collector value” because unlike a physical painting or a traditionally inked comic page a digital file can easily be duplicated and there’s no real way for you to sell the “original” copy. You’ll find that some college tutors can give you a hard time because they don’t view “digital art” as real art. Is digital art a necessity to be an artist? No. It’s a tool like any other. Having a computer graphics tablet and fancy software is no replacement for actual art training. However in these days, if you want to work in the creative industry you’ll find it is very important to be able to work digitally. I hope you guys found this article useful! Leave your comments and questions below! Thanks!